Dave and Kate bring you a bit of Adirondack living, whether it be camping lakeside at a state or DEC campground in the Adirondack park or vacationing at the Whiteface Lodge, in Lake Placid, New York. 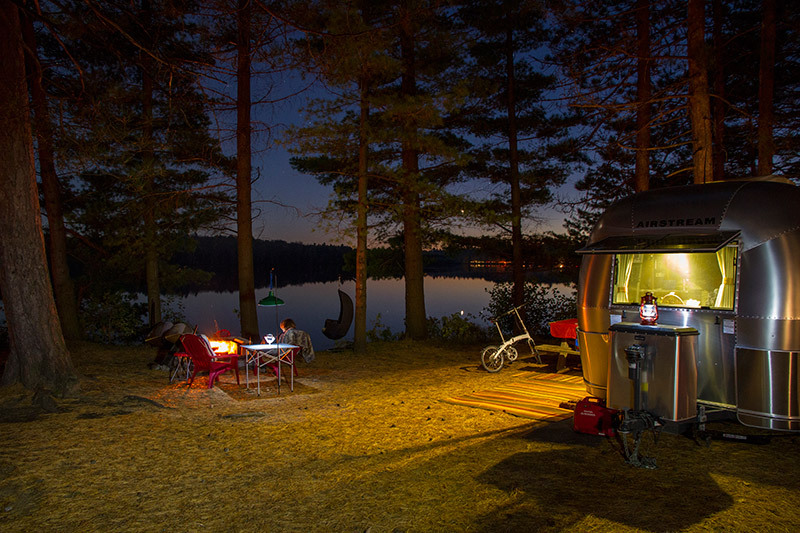 Our passions include vintage trailers, teardrop trailers, lakeside camping, cross country skiing, luxury vacationing in our suite at the Whiteface Lodge and of course, camping at our favorite campground, Fish Creek Pond, north of Tupper Lake. The ultimate campsite photo guide to over 80+ great New York State and DEC campgrounds covering the Adirondack Park, the Thousand Islands, Central New York, Western New York and the Catskills / Taconic regions. Now covers 11,869 individual campsites and 65,000+ campsite photos for you to peruse, along with many different tools to help you select the perfect campground that meets your needs. 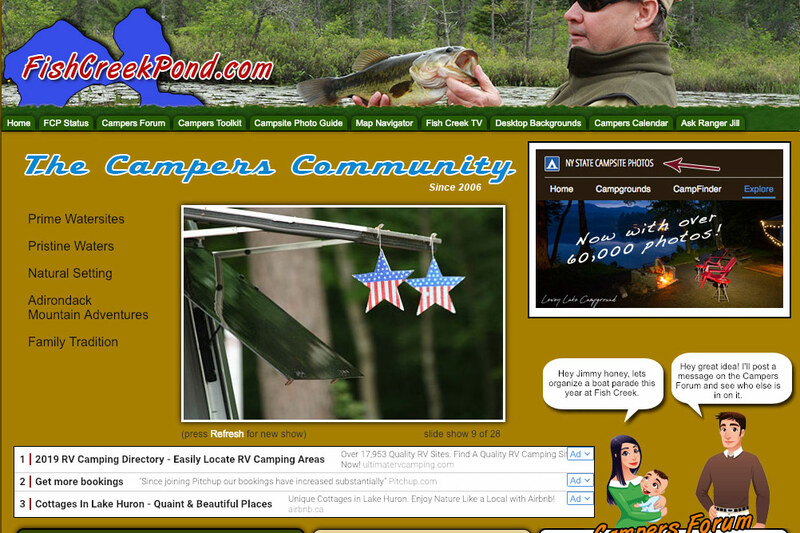 Fish Creek Pond Campground and community website.